Other Common Names: Wax myrtle, American baybebry, tallow shrub, waxberry, candleberry, vokspors (Norwegian), Wachsmyrte (German), arrayán (Spanish), cirier (French). 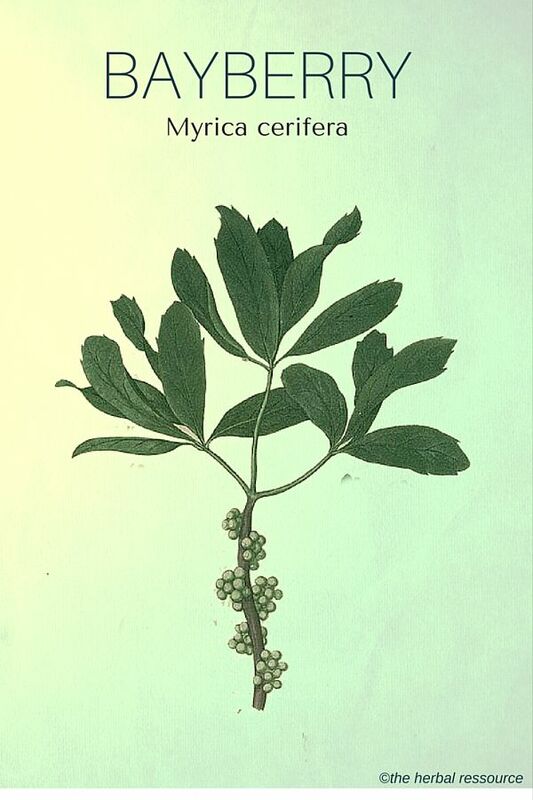 Habitat: Bayberry is endemic to the coastal areas of eastern and southern North America. It has become a popular garden plant around the world where the climate is suitable. Description: Bayberry is an evergreen shrub or a small tree that can grow up to about 9 meters (30 feet) in height. The leaves are narrow, wedge-shaped, with a few teeth and have a rather fragrant odor when crushed. The small yellow flowers appear from March to May. The plant is dioecious with both male and female flowers found on separate plants. 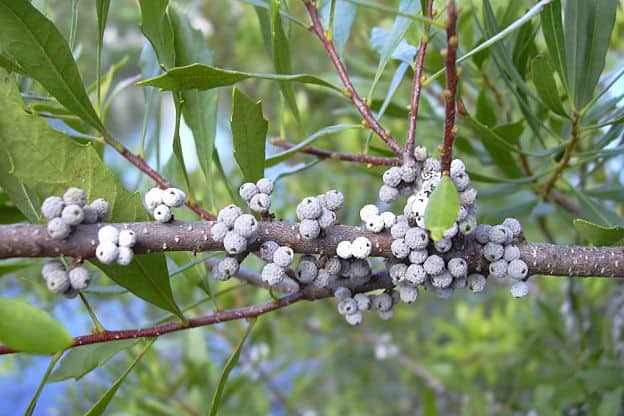 Bayberry produces blue-white fruits that can be attached to the tree for several years. The plant’s roots have nodes containing nitrogen-fixing bacteria which form a symbiotic relationship with the plant allowing it to grow in very nutrient-poor soil. Plant Parts Used: It is the root bark that is primarily used as medicine, but the leaves, fruits and a wax extracted from the fruits can also be used. The root bark is usually collected in the fall, then thoroughly dried, pulverized and stored in sealed containers that are kept away from light. 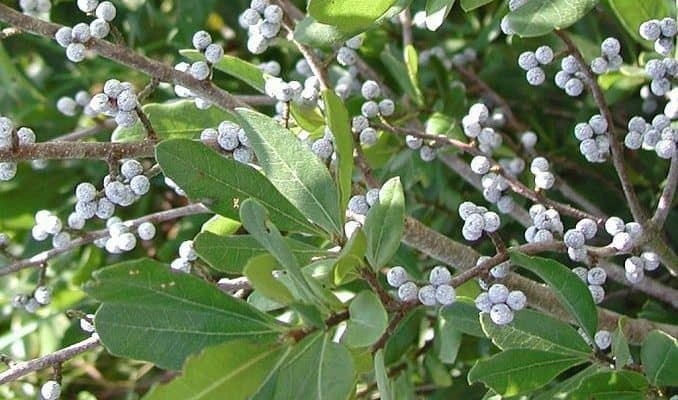 Bayberry contains triterpenes (such as taraxerol, taraxeron and myrikadiol), flavonoids (myricitrin), tannins, phenols, resins and rubber substances. The European settlers who came to North America learned about the medicinal properties of bayberry from the Native Americans. 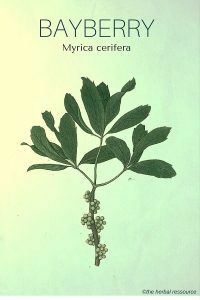 The root bark of bayberry was listed in the United States Pharmacopeia from 1916 to 1936. Some herbalists still use this herb as a treatment for a variety of ailments and diseases due to its reputation as an internal stimulant and also for its antipyretic and astringent properties. Bayberry can therefore be used to treat diarrhea and inflammation and infections of the gastrointestinal tract. The herb has been used traditionally as a treatment for headaches, and it was used as a decongestant for colds, flu, cough, throat infections and sinusitis. Externally, a decoction made from the herb was used to cover slow healing wounds, hemorrhoids and varicose veins. Once, large doses were used to induce vomiting as a treatment for poisoning. Modern research studies have confirmed that bayberry does contain astringent and antibacterial substances. The astringent effect is due to the tannin found in the plant and explains why the herbs was once a popular remedy for diarrhea, sores, and hemorrhoids (tannin is also know to curb intestinal inflammation). Laboratory experiments have shown that the flavonoid myricitrin can stimulate bile flow, a trait which sometimes can be useful for ailments related to the liver and gallbladder. Myricitrin has also the ability to kill micro-organisms, but what impact that may have in treating diseases is yet unclear and more studies are needed. A wax can be obtained from the berries by boiling them in water making the wax float on the surface, where it can then be easily skimmed off. This wax can be used, among others things, to make candles that give off a pleasant balsam-like fragrance when burned. Around four kilograms (around 9 pounds) of berries are needed to produce one kilogram (2,2 pounds) of wax. The wax also had its uses as a medicine and was used traditionally as a remedy for dysentery and to treat ulcers in the digestive system. In capsule form: Up to six 450 mg capsules may be used daily, otherwise the manufacturer’s instructions should be followed. In tincture form: 20-40 drops 1 to 4 times daily. Bayberry should not be used by pregnant and breastfeeding women, and it should not be given to infants and children. Because the herb contains a high amount of tannin it should be used with caution, consumed in small quantities and not for long-term. 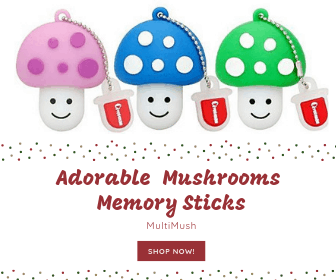 Although some sources say that only high doses should be avoided, others state that the herb should not be used at all because there are just too many side effects and risks associated with it. Research has also shown that large doses of the herb may lower the amount of potassium and increase the amount of sodium in the body, hence causing fluid retention and hypertension. People with high blood pressure, heart problems, fluid retention or poor kidney function, should not use bayberry.